We are all familiar with that unboxing scent when you open up a new purchase. Box-fresh shoes. The unwrapping of a new shirt. It’s a key part of the experience of buying a new car – that lovely distinct smell of untarnished newness. Unboxing an Apple Mac product is right up there too. It's premium, it's luxurious. As well as having a box 'slide' design, which is a work of art and in which all the parts fit perfectly (and for whom many throwing away the packaging would feel like an awful crime), it smells lush. 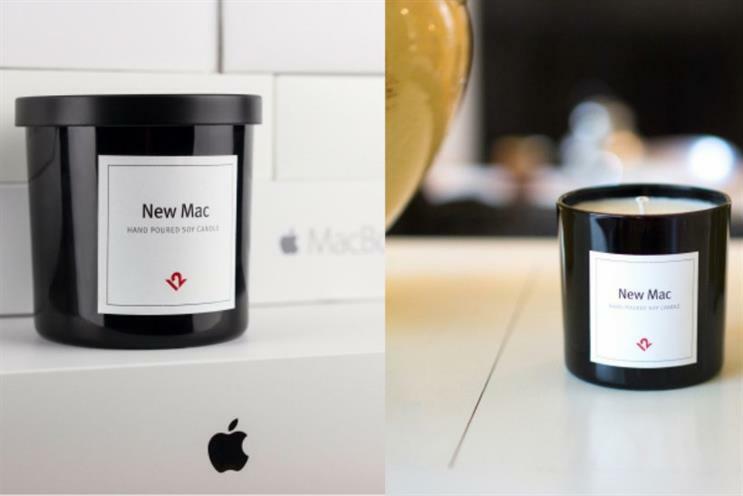 It’s why the Apple accessory maker Twelve South has just launched a New Mac Candle, a scented candle that the company claims replicates that exact same smell – surely one of the more bizarre Apple accessories. There’s an irony somewhere that for such a high-performance cutting-edge product like Apple, that there’s also something about the experience that also appeals to some of our more basic fundamental emotions. But it also reveal a broader point that brands should always remember – the very importance and value that feeling a product can create. The sense and touch of a product conveys as much meaning as what the brand communicates about itself. How should it smell? How should it taste? How does it make you feel when you take it out of its packaging? So it’s essential that brands properly recognise and build intrinsic value into the senses they can create. The more successful retailers know how to play on senses to create a more meaningful experience for their customers. For example, the elegant sparseness of Waitrose versus the cluttered promotion-dominated environment of its more downmarket competitors; the warm glow of Aesop compared to the harsh strip lighting of SuperDrug, the Apple showroom versus PC World; Net a Porter versus Amazon. Arguably these analogue primordial senses play an even more important role in a world of programmatic and ecommerce, AR and VR, where technology has made the customer journey easier – if rather less of an emotional path – for customers to tread. In particular, these brand experiences should play a bigger role for conversion and loyalty. The very senses that products can create on their owned channels of packaging, product and retail environments should create more value, beyond the traditional marketing communications. As creative businesses, it’s also something that we need to spend more time inspecting and even allow for derivative value capture like scented candles to tap into this desire. After all, TwelveSouth, which also manufacturers other Apple accessories, report that its Mac Candles have sold out.